It was a few years ago that I became obsessed with discovering the true extent of prisoners’ basic skills levels. I kept reading columns in the press with lines like 2/3 of prisoners have reading age of less than 11 years or 87% of prisoners can’t do simple primary school maths. I wanted to read the reports, find out where these figures came from… In fact, the more responsible reports at least, referred to a House of Commons written answer which was drawn from a 2002 report from the Social Exclusion Unit which in turn quoted a survey done in prisons in 2001. A learned colleague of mine informs me that while the survey was good, the interpretation in the Social Inclusion Unit report was flawed owing to a lack of understanding of different levels used by two different skills surveys. When the Centre for Education in the Criminal Justice System (CECJS) was set up here at UCL Institute of Education, I immediately set about seeing if we could do some research to update and properly interpret these numbers. We had some meetings with colleagues from The Manchester College about random sampling in prisons, but this looked long, complicated and expensive. Then we had a meeting with BIS and learned that from August 2014 every new prisoner was to have an initial assessment in English and maths. The opportunity couldn’t have been clearer. As a result, for much of the past year I have been asking the four OLASS providers – Novus (formerly The Justice Division at The Manchester College), Milton Keynes College, Weston College and PeoplePlus (formerly A4E) if they would be prepared to share their data with me. Despite having no money to offer, all four providers have given us their full year’s assessment data. 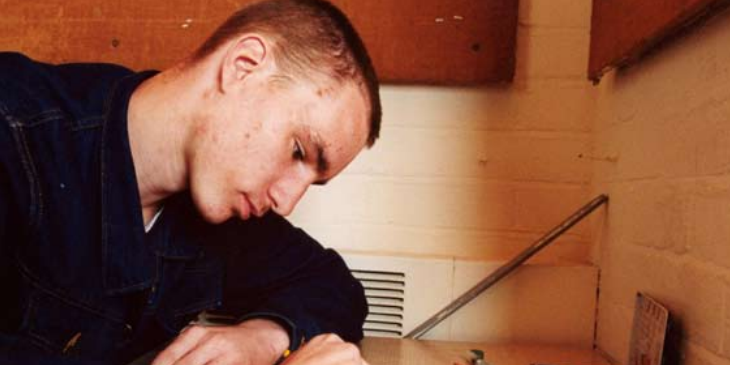 As a benchmark we have used the 2011 Skills for Life survey of adults in England, which used similar initial assessment tools and levels allowing for easy comparison between the prison cohort and the general population. The result is our report An assessment of the English and maths skills levels of prisoners in England (http://www.nrdc.org.uk/wp-content/uploads/2015/11/An-assessment-of-the-English-and-maths-skills-levels-of-prisoners-in-England1.pdf) based on over 120,000 assessments made in the past year.So what have we found? Firstly that literacy levels in prison are very poor compared with outside prison. Using the old Skills for Life definition of ‘functional literacy’, those with level 1 or level 2 literacy skills, in prison just 50% have these skills compared to 85% of the general population. We might expect level 2 skills to be poorer in prison, but 14% compared to 57% is a very large difference. The pattern is continued across all levels with 22% more prisoners having Entry level 3 literacy skills and 11% more with Entry level 2 skills. If anyone doubted the challenge of getting the prison population ready for employment, then surely they need no more evidence. For at least half of last year’s prisoners, literacy will prove a significant barrier to gaining employment. In general the public has far lower skills in numeracy than literacy. Cynics have assumed that this is why the Skills for Life programme defined ‘functional numeracy’ as being Entry level 3 and upwards. Using that definition the general population has 76% with functional numeracy skills, but 80% of the prison population are at that level. This is entirely unexpected, and a rather positive result. However, level 2 skills are much lower for prisoners, only 9% compared to 22%, so there remains plenty of room for improvement. The division by gender was largely as we might expect; as with the wider population, female prisoners were better than males at literacy and males better at numeracy. However, while 32% of all prisoners declared a learning difficulty or disability, for female prisoners this rises to 50%. It is not at all clear why this might be. As with any original research like this, the findings raise as many questions as they answer. Although the four providers are mandated to give initial assessments, there is no set tool to use, or set process for how and when to give them. These are down to each provider to decide, and each prison needs to work out the best way to do this for their given context. One of the prisons I visited gave inmates a clear incentive to do well on the assessments and staff felt that assessment results had ‘improved’. And while all four providers used BKSB last year, at least one provider is looking to change initial assessment in January. Finding out how prisoners get to self-declare their LDD status is also hard to understand, but seems to vary on a prison by prison basis. But for all that, we feel that this is robust, concrete and real data on the prisons cohort. For too long prison education has been planned and funded without real knowledge of where the challenges are. This data will be added to the ILR database which will allow a deeper analysis of the educational backgrounds of prisoners, and we hope to repeat this exercise next year to double our information. It may not be a complete story as yet, but at least we are on the way.